Strong girl names come in all sorts of categories. 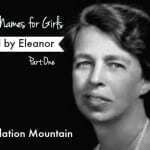 There are the classic names, like Eleanor. 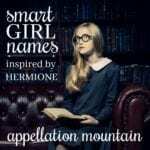 The quirky, offbeat ones, like Hermione. 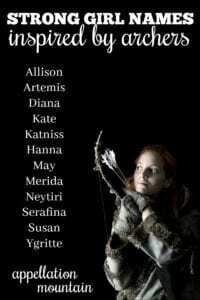 And then there are strong girl names inspired by archers. Women have hunted and fought with a bow and arrow since ancient days. We’ve armed our modern heroines with the weapons, too. In some eras, it was considered quite the lady-like past time. When they made the most recent movie version of Jane Austen’s Emma, the title character shot a few arrows herself. It had became a stylish pursuit in Georgian England. Still, most of the archers on this list are battle-tested, rather than just sporting for fun. 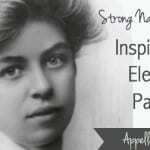 If you’re looking for strong girl names, these twelve choices might be exactly right for you. Allison peaked in the 1990s, but it remains a Top 100 pick today. 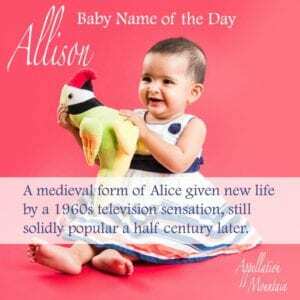 And here’s the thing: if it had not been launched by 1960s television smash hit Peyton Place in the 1960s, we would be discovering this tailored Alice name today. It makes this list thanks to Allison Argent of Teen Wolf fame. She’s skilled a skilled archer, born into a family of werewolf hunters. That makes for a very Romeo-and-Juliet scenario when she falls in love with Scott McCall, who is – you guessed it! – the werewolf of the series. While there have been other versions of the I’m-a-teenage-werewolf tale, this one was a big hit for MTV, debuting in 2011 and running a solid six seasons. We love Athena and Aurora and Luna, too, but somehow we’ve neglected the powerful Artemis as a girls’ name. In Greek myth, she’s goddess of the hunt and the moon, twin sister to handsome sun god Apollo. She’s nearly always depicted as an archer. Hesiod described her as “delighting in arrows” and it’s often said that the Cyclops crafted her bow. It’s never been common as a given name, but it might get a boost from a different kind of warrior woman. Read Player One, about to hit the big screen as a major motion picture, includes a gamer who goes by the screen name Art3mis. I’ve yet to write about Artemis. Check back, and I’ll update when I do. We’re all about The Avengers these days, especially after the events of Infinity War. Expert marksman Clint “Hawkeye” Barton was out of the action for the most recent installment, but we can expect to see him back in the next. But what happens after that? It’s anybody’s guess, but if the Marvel movies don’t slow down, we might eventually meet some of the next generation incarnations of our favorite superheroes. Kate Bishop takes over from Hawkeye as becomes part of the Young Avengers. She debuted in the comics in 2005. When we meet Katniss Everdeen in The Hunger Games, she’s using her bow and arrow to feed her family. Before long, she’s fighting for life. Another book or so in, she’s leading a revolution, still with her bow and arrow by her side. Katniss starts out as a gentle nature name, one that fits right in with the character’s backstory. But after a series of bestsellers-turned-blockbuster movies, we hear this name very differently today. It’s powerful, unexpected, but perhaps slightly too tied to the hero. Read more about Katniss here. In 2011 movie Hanna, Saoirse Ronan plays a highly trained assassin – who happens to be a mere fifteen years old. She’s sent on a mission by her former CIA-operative dad, and manages to succeed. Among the weapons she handles with stunning expertise? A bow and arrow, of course. While a 2011 movie might feel too distant to inspire parents today, Amazon is set to make a television series based on the character, suggesting that Hanna might get a boost from the small screen. I’ve yet to write about Hannah, but check back and I’ll update when I do. May names are having a moment, and Mae especially feels stylish. It’s a mini name, as compact as Zoe or Ava, with a bright and lively sound. But it’s May-with-a-y that’s inspired by archers. That’s because of May Welland, the beautiful and accomplished New York Society miss engaged to marry Newland Archer in Edith Wharton’s Age of Innocence. In the novel and movie, we see her practicing with a bow and arrow. She’s shooting just for sport, probably the reason we don’t necessarily think of her in the same category as Katniss or Neytiri. Remember when Disney princesses mostly lost slippers and took never-ending naps? Those days are over. Merida of DunBroch took the lead in the 2012 Disney Pixar movie Brave. The Scottish royal struggled with the traditional expectations of a princess, which led to mayhem, adventure, and, of course, a happy ending. Most sources list Merida as Spanish, but the name may also have separate, Gaelic roots, though they’re difficult to find. I’ve yet to write about Merida, but check back and I’ll update when I do. Zoe Saldana wore blue – skin – to play Neytiri in Avatar. The Na’vi warrior fights with a bow and arrow, the traditional weapons of her people. The movie was a smash hit, inspiring an entire land at Walt Disney World’s Animal Kingdom. The name Neytiri is part of the Na’vi language, created just for the movie. (Learn to speak it here.) A handful of meanings are listed, but I’m not sure if any of them are correct. What is clear is that a few dozen girls have been named after the fictional character since the movie’s 2009 release. If those sequels ever come? There could be more kids with Na’vi names. I’ve yet to write about Neytiri, but check back and I’ll update when I do. In the world of The Golden Compass, Serafina Pekkala reigned as Queen of the Lake Enara clan. The book was part of Philip Pullman’s His Dark Materials series. Serafina is a witch, and she’s also a warrior. Since her name makes this list, no surprise that she’s deadly with a bow and arrow. Serafina comes from a Latin name meaning fiery ones. It made headlines when Jennifer Garner and Ben Affleck chose it for their daughter back in 2009. While it’s risen in use, neither spelling has cracked the US Top 1000 – yet. If Susan hadn’t been such a smash hit back in the day, it would top the charts now. Alas, it was huge in the 1960s. And yet, I think it should be wearable today. There’s the tailored sound, fun nicknames like Susie and Zuzu, and, of course, the ties to The Chronicles of Narnia. Susan Pevensie is the reason the name makes this list. The older sister in the family of four, she receives a magical bow with arrows that never miss. But Susan practices diligently, and proves herself capable in a contest, or a fight. With Khaleesi catching on as a girl’s name in the US, it’s reasonable to ask if other Game of Thrones names might, too. So far, Ygritte is not one of them. But the character has some serious appeal. Red-headed Ygritte was a Wilding, part of an independent people who live outside of the feudal structure. They call themselves Free Folk. She fights with a bow and arrow. That’s it for my list of strong girl names inspired by archers. Have I missed any? 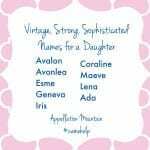 Would you consider any of these names for a daughter?